Taking Back Trenton from Cynthia Groya on Vimeo. 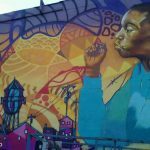 SAGE Coalition is the heart and soul of the capitol city of Trenton, NJ’s arts community. 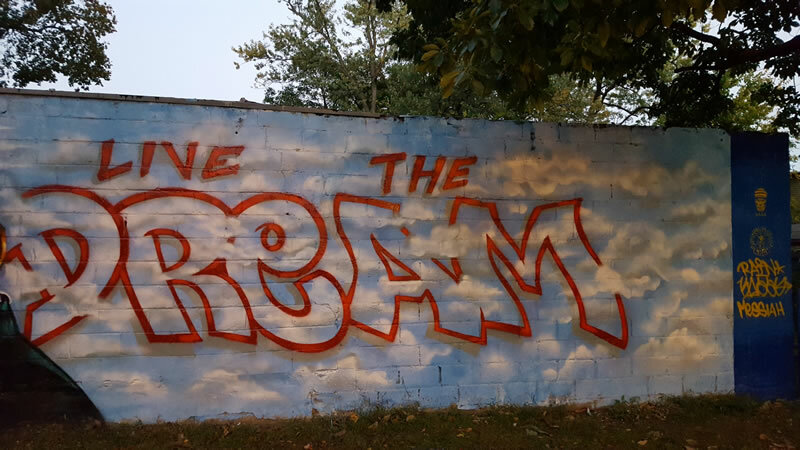 With its recent mural production, “City of Dreams”, it further reiterate that sentiment. 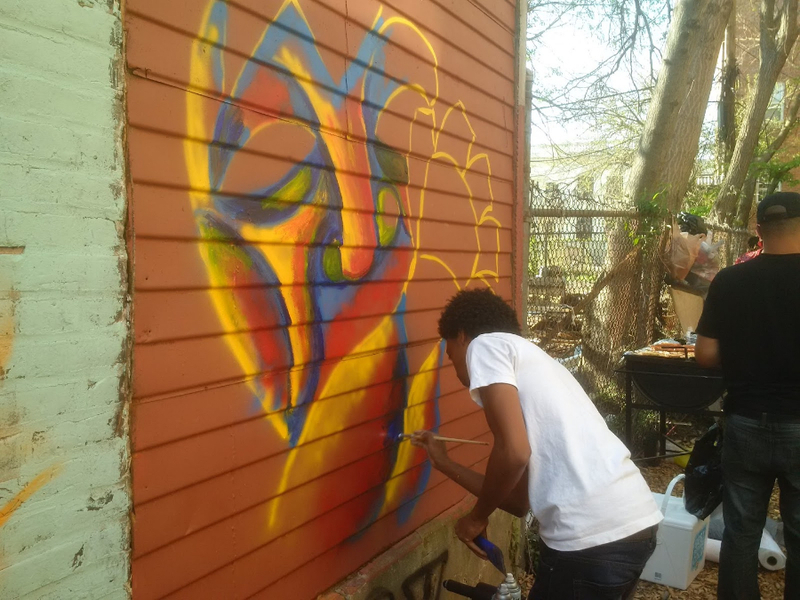 Sponsored by the ETC (East Trenton Collaborative) and designed by William Kasso, the idea came about while discussing different visions for a youth themed mural. 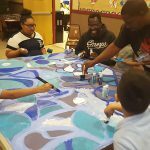 Kasso, who has a long storied history in the production of youth murals, brought up the idea of a kid blowing bubbles over a city landscape. He then enlisted his longtime friend and frequent collaborator, Leon Rainbow, to co-produce. Leon Rainbow drafted up an abstract surreal background, full of bright yellow, oranges and reds, along with a festive cityscape to balance out Kasso’s massive image of S.A.G.E. member, Rocky Kelly’s daughter, Dreamy. 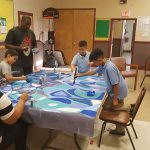 The bubbles were created with the help of children during a after school art workshop sponsored by the East Trenton Collaborative and Habitat for Humanity. 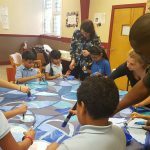 Kasso, Rainbow and Earlie Harrell lead a workshop of roughly 20 students to create dramatic images of bubbles with blue hues and abstract patterns. 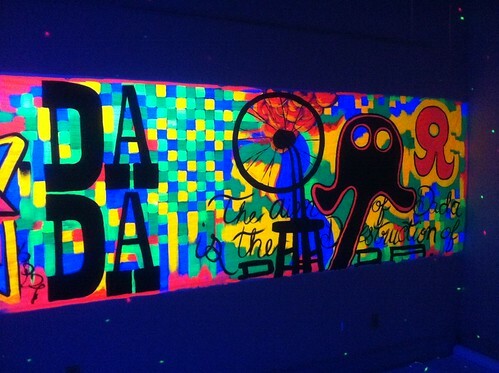 The bubbles were installed within the mural using a high density adhesive called Nova Gel. 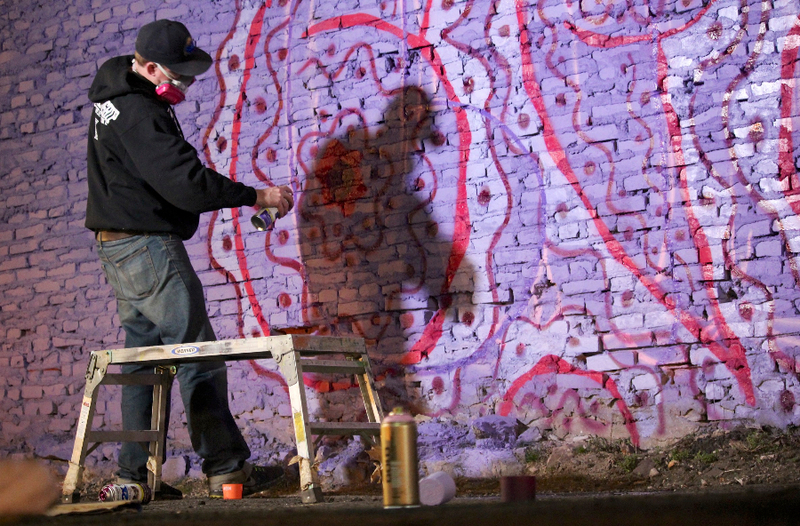 Once the bubbles were placed, Rainbow finished off the background while Kasso continued to work of the image of Dreamy, which stretched from the top of the wall down. The entire figure measured about 25 ft once completed. The two artist worked in unison while Cynthia Groya, a Harvard University undergrad, documented the process. Rocky Kelly, S.A.G.E. 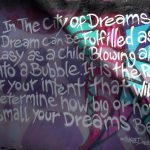 holistic health guru, wrote the passage to sum up the vision behind the mural, which reads: “In the City of Dreams, a dream can be fulfilled as easy as a child blowing a bubble. It is the power of your intent that will determine how big or small your dreams become”. 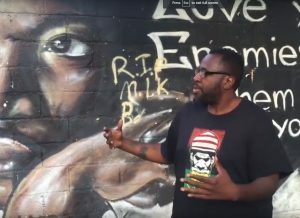 The entire production took 4 days; capped off by Earlie Harrell…aka…Messiah, slapping on a few layers of clear coat to seal the wall. Leon Rainbow and William Kasso. Many call them the dynamic duo of the Trenton Art scene. 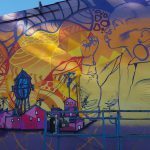 Each artist has created more works of public art in the capital city than any other artist before or since. 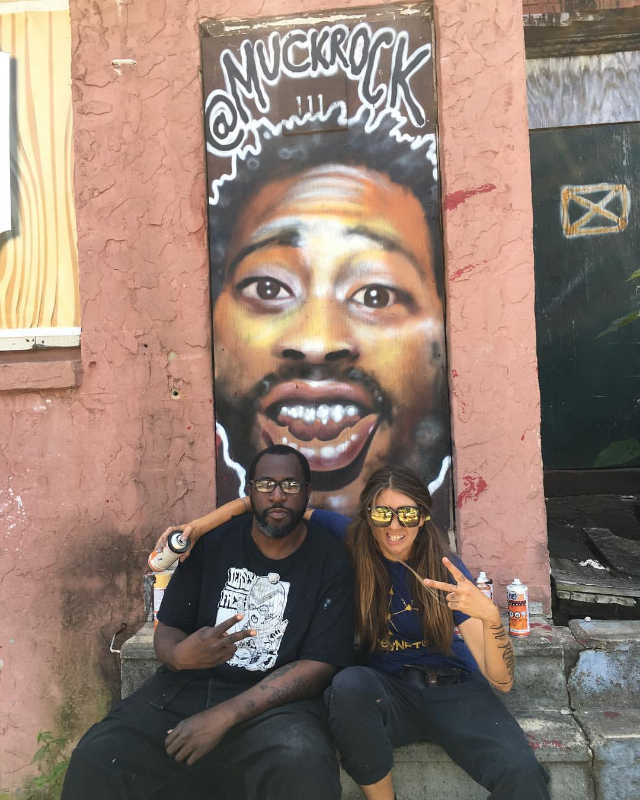 Its a pleasure to watch these two artist work their magic…especially in a city like Trenton, NJ; a city struggling to regain its former identity of prosperity and glory. “Trenton makes the world takes”. That statement is world renown..and so are its artists. The City of Dreams is not only a beautiful piece of public art, but also a vision of what could be. The year was 2005. 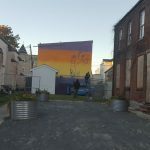 Leon Rainbow and William Kasso, two local artists, collaborated on their first mural together. At the time, each artist was only acquainted for a short period; less than a year, and each of their names was beginning to rise in the local art scene. 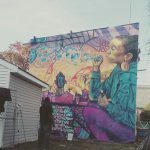 The idea came up to produce this mural while brainstorming different opportunities to evolve their work, while watching graffiti bombing videos at Kasso’s apartment. 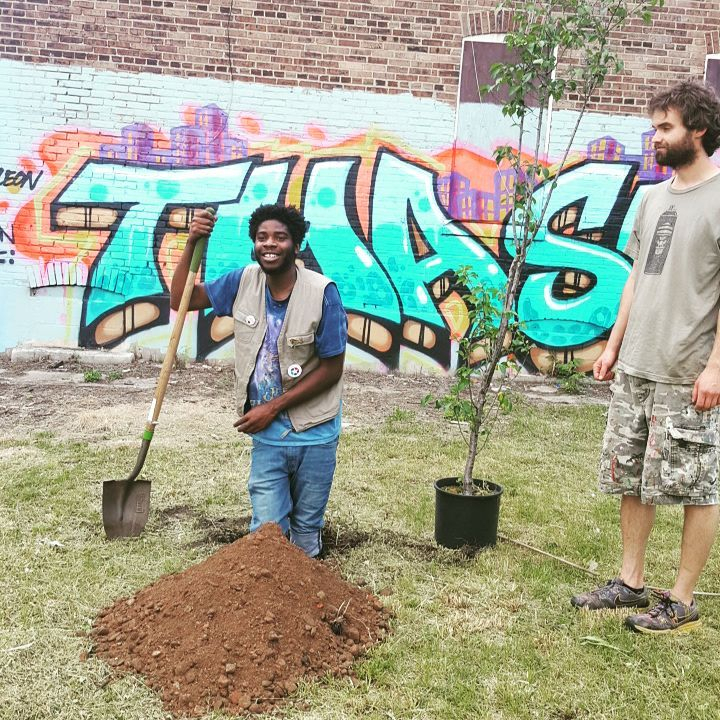 The opportunity to work together on a groundbreaking project like this was tremindous. 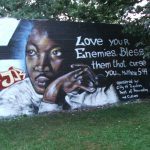 That project was the Martin Luther King Memorial Mural. 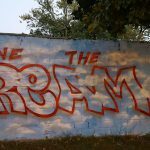 The original mural, which was created in the 1970s by an unknown artist, was falling apart. It was simple in execution; red brushed block letters with a white background. 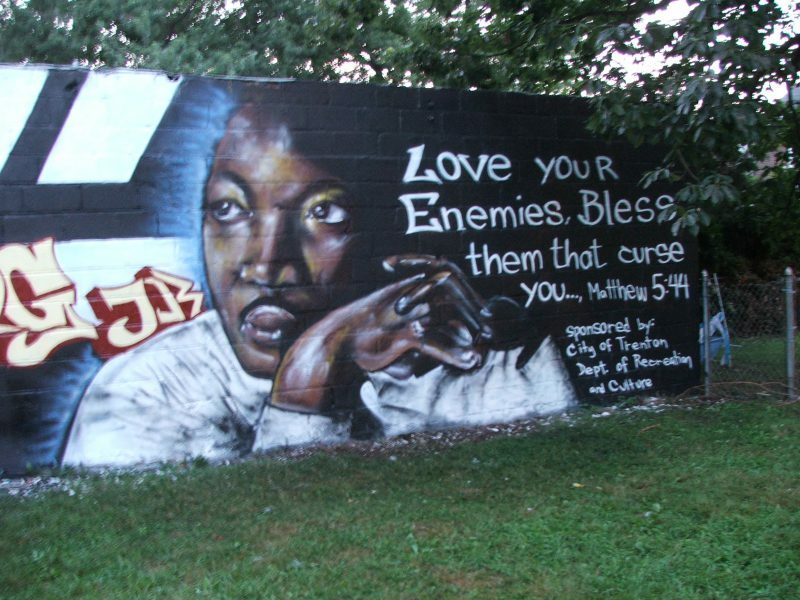 The two artist designed the new mural with the intention on focusing on MLKs image and message. 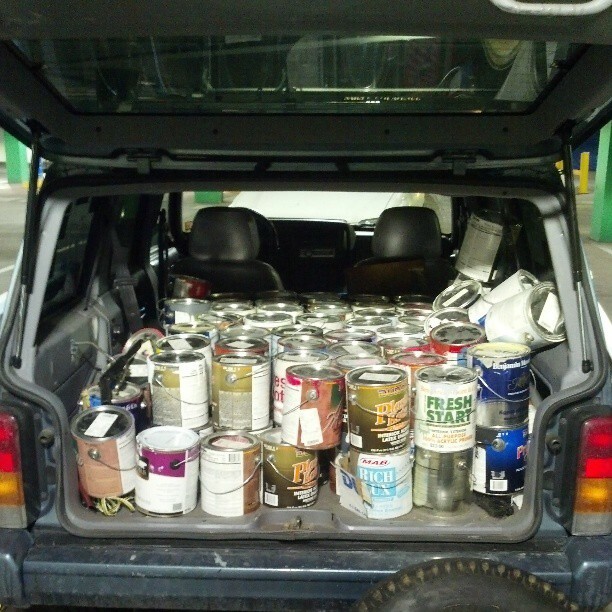 The two worked for hours…12 to be exact..in 115 degree heat. They battled a swam of bees…and a rain storm. But alas, after a full day of trails and tribulations, the wall was complete. It was met with great fanfare and press coverage. 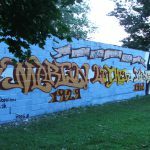 The mural put the two graffiti artist in the local limelight and got the kind of attention that most in the graffiti scene would cloak themselves from…it made there faces known. 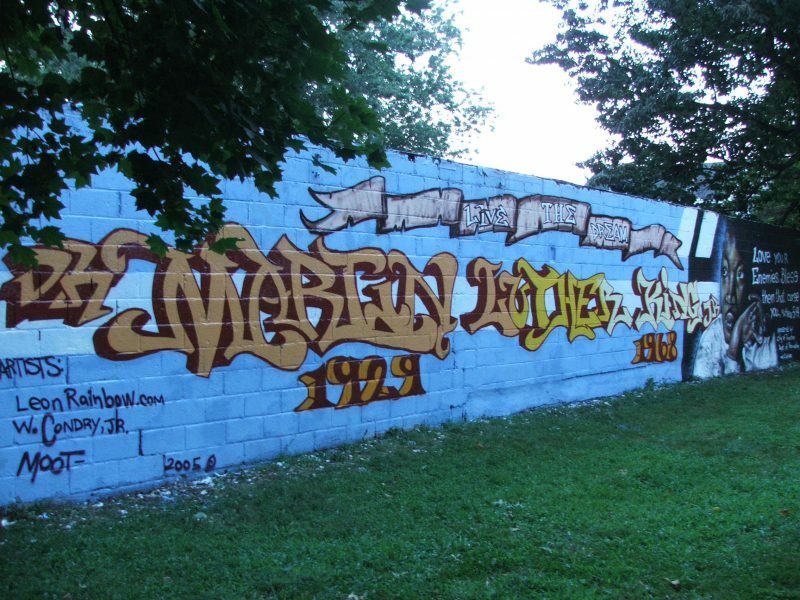 Since ’05, many murals and projects from each passed. 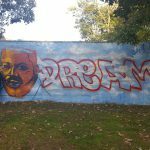 In the fall of 2016, the two artist, now season wall art veterans and each with international recognition, decided to redo the MLK wall, which fell to years of decay and neglect. 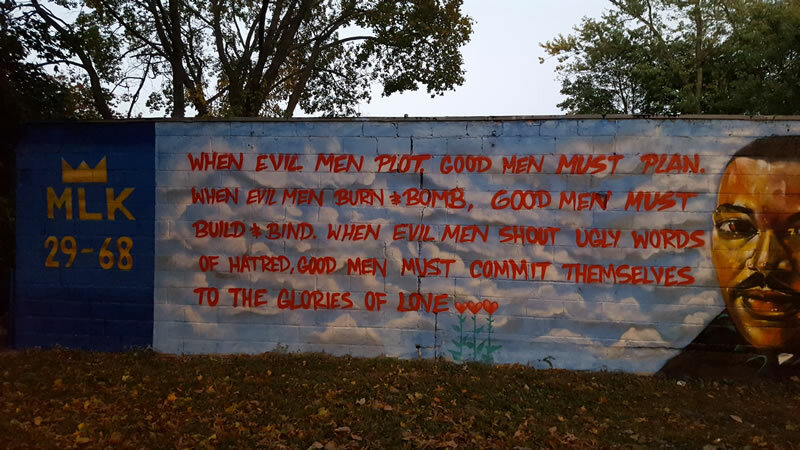 With proceeds raised from a Go Fund Me campaign, the two artist set out to update this iconic mural yet again. “Its a great quote, especially in the way it promotes a healthy way of solving conflicts”, say Leon Rainbow. Leon chose a bright red font for the quote that was balanced out by a baby blue colored sky and titanium white fluffy clouds. 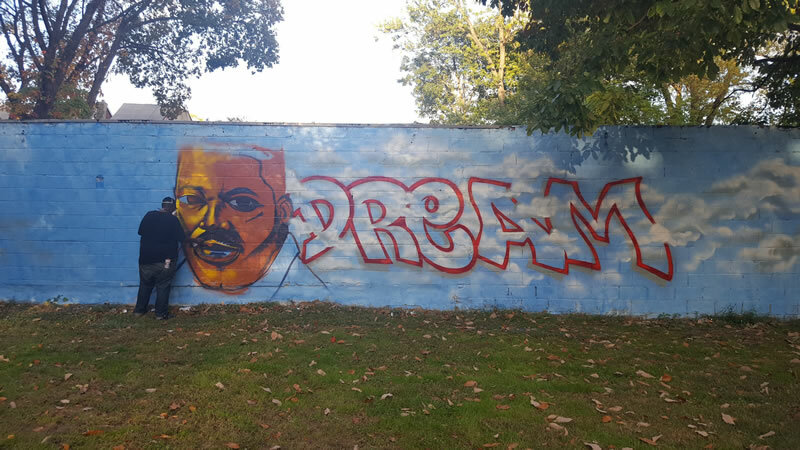 Kasso’s portrait centered the wall with a straight forward rendering of Dr. King, while in giant bold white and red letters, the word DREAM stretched across the right half of the mural. This was a quick production…taking all of two days to produce. 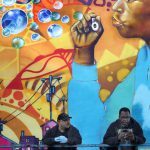 During their time working on the mural, the two artists shared tons of laughs and good vibes, no different than 11 years prior. 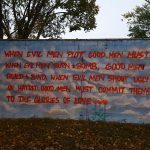 The community response was at first, not so pleasant…mainly because they thought the artists were removing the previous work out of disrespect. 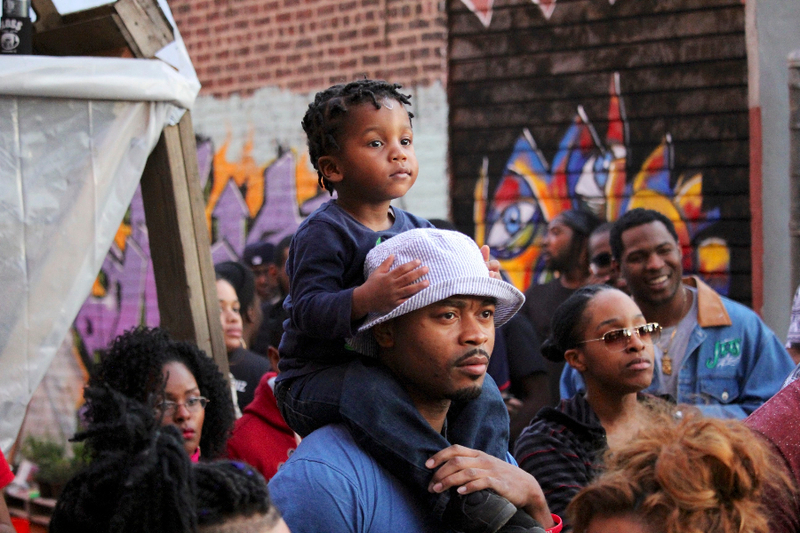 Once the community dialogued with Kasso and Rainbow, did their collective fears began to ease. The work ethic of these two artists and the energy it takes to constantly answer the call to create these masterworks is phenomenal. The neighborhood and city of Trenton owes a huge debit of gratitude to these gentlemen. 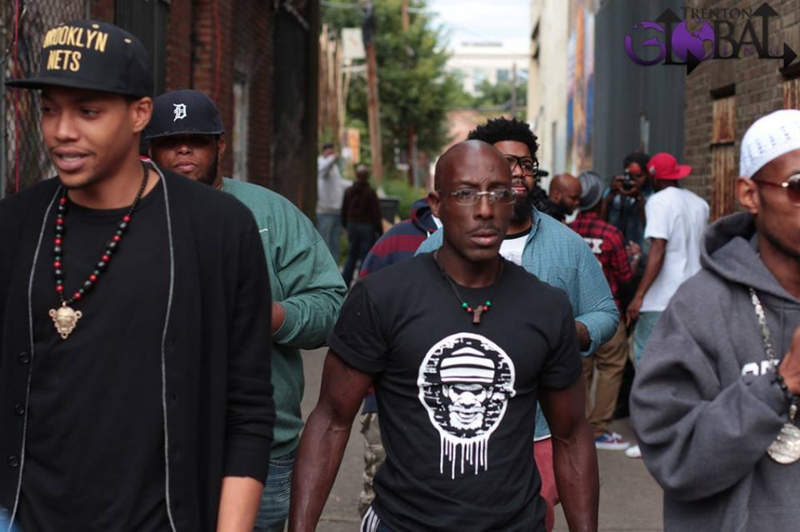 Art is life and its consistently provides an outlet to many who otherwise have no voice. Its the missing positive link in a chain forged out of hopelessness. Art matters. Trenton matters. 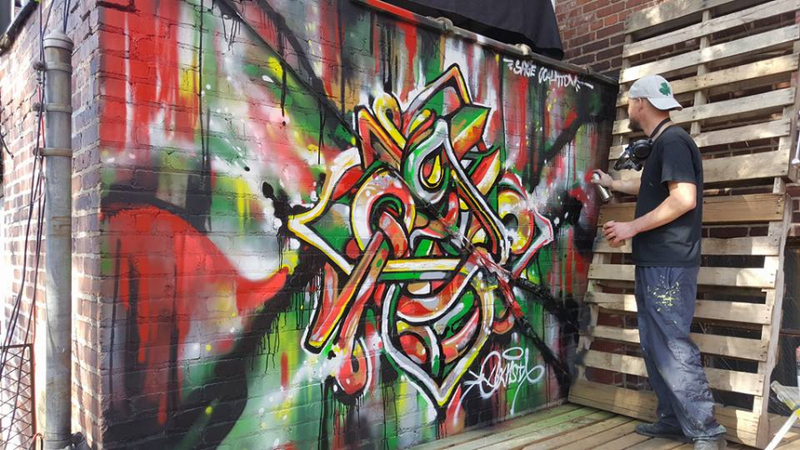 Art is the message…and S.A.G.E. Coalition is the method. -Earlie Harrell, Director of Urban Affairs, S.A.G.E. Coalition Inc. 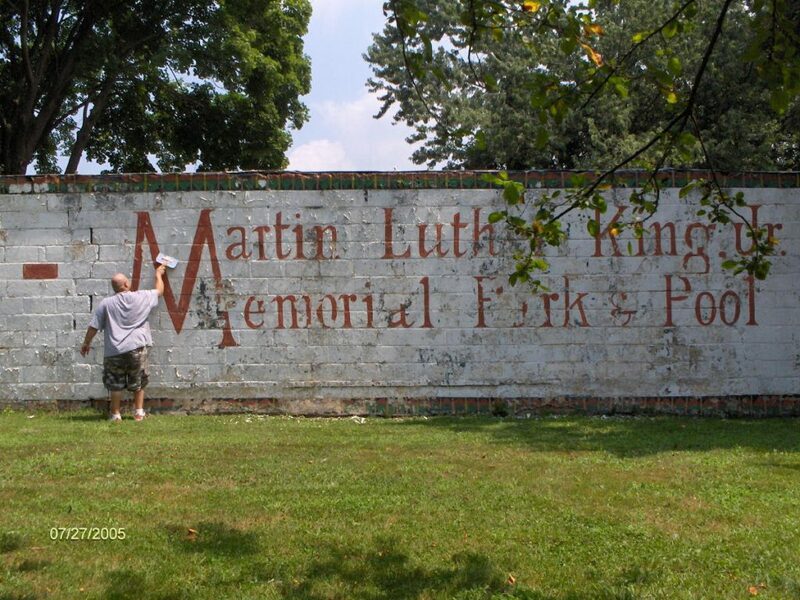 In other parky business, we’re raising some money to re-paint the Martin Luther King Mural in MLK Park, on Brunswick Ave. Check out the GoFundMe and donate if you feel inclined. 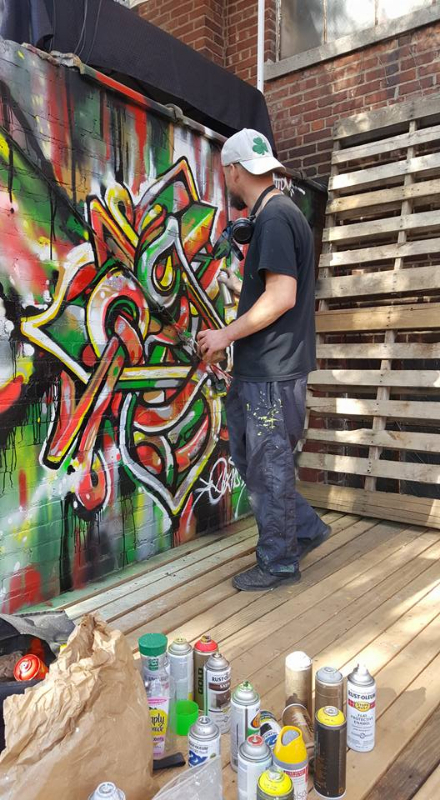 This could be part of the Pendy @ the Park tour, with Kasso and Leon painting while we swing the pendulum.. wouldn’t that be great? Finally, Wills and his Bike Polo gang have taken over Lipinski park, and they’re hosting the 2nd Annual Fall F**king Classic, a prestigious tournament open to all polo-ers, on Sunday Oct. 23rd beginning at 9:00 am. Of course we’ll have the pendulum out there as part of the tour. 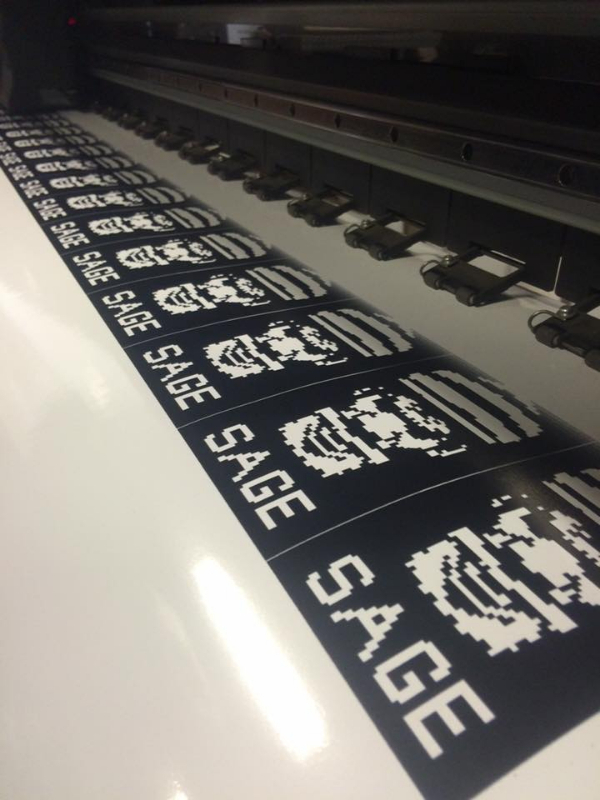 S.A.G.E. Collective was in the house at The Center for Contemporary Art’s Anti Gala on 9/24/2011 doing live mural painting and bodypainting with Leon Rainbow and hula hooping by Andrea Gianchiglia. Check out the fun video below shot by Jolene and edited by me. 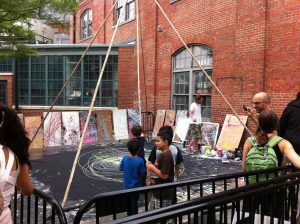 Was a total blast being there, thanks to Ellen and everyone from the CCA http://ccabedminster.org/ for having us out!